Viettel is a Vietnamese state owned mobile phone network operator, under the control of the Ministry of Defence. 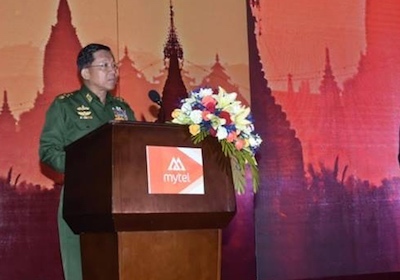 It is in a joint venture with Star High Public Company, a subsidiary of the military owned and controlled Myanmar Economic Corporation, in the MyTel mobile phone company in Burma. Eleven other companies, of whom details are unknown, joined together to form the third partner in the joint venture, the Myanmar National Telecom Holding Public Ltd. The Dirty List names international companies doing business with the military in Burma. The list also includes international companies involved in projects where there are human rights violations or environmental destruction. A PDF of the full Dirty List is available here.